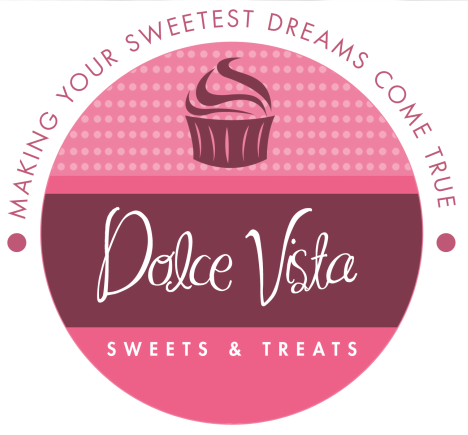 This week's episode of Cupcake Wars featured an OC-based cupcake competitor: Dolce Vista Sweets and Treats. Although she didn't win, it was great to see Orange County represented. Dolce Vista Sweets & Treats (Orange County, CA) - I loved the cotton candy garnish on their Round 1 cupcakes. Carrie Cakeaway (San Francisco, CA) - I was pretty sure that hot dogs in cupcake batter would not do so well. It bugs when I can't find a website for a company that was on Cupcake Wars. Marketing matters. Heaven Cupcake (Salt Lake City, UT) - Their churro cupcake looked awesome! I would love to try this one. This was the first time I've seen a baker not decorate all of their cupcakes or get them all on the display. Bonbon Bake Shop (Cleveland, OH) - WINNER! Although they also did not get all of their cupcakes on the display. I count down until the OC Fair every year. Forget the rides, the concerts, and the games...I'm only there for the food. I manage to eat pretty healthy throughout the year, but when I enter the gates of the OC Fair, all bets are off. This year I was provided complimentary tickets and food vouchers. 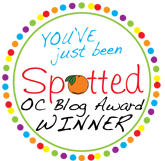 Maybe a "thank you" for judging last year's OC Cupcake Classic? The one bummer about this year's trip was my husband. I love him, but his no-fried-food resolution put a HUGE damper on the night. I mean, who goes to the fair and doesn't eat fried food? We started off with some healthy BBQ corn on the cob. Then dipped in a bucket of butter, sprinkled on cajun seasoning, and turned it from healthy to yummy. Next we hit up Chicken Charlie's: the ultimate booth for fried foods. We had our pick of fried frog legs, fried Krispie Kreme chicken sandwich, fried Thin Mints, fried Kool-Aid, fried zucchini, and much more. I went with the fried avocados because avocados are a pregnancy superfood. I really wanted to sample the fried Klondike bars, but by the time I was ready for dessert, I couldn't handle any more fried foods. My husband is a huge bratwurst and sauerkraut fan. Me, not so much. Another one of my favorite fried foods is the fried cheese curds. I can never pass these up. And I didn't. But I did forget to take a picture. Dessert time! My husband picked a vanilla soft serve ice cream. Serious? How boring can you be? I went with a chocolate dipped frozen banana with sprinkles ("there's always money in the banana stand" -- name that quote). It was delicious! This is how I felt by the end of the night. Doesn't help that my baby bump makes me look huge too. How cute is this little guy? Just 3 days old! Before we left we visited the Ice Museum. They were handing out coats to borrow before you went inside the room. Lame! Or so I thought. I stepped in the room and immediately regretted by decision. I guess I should have expected a room full of ice sculptures to be extremely cold. Although I am 5 months pregnant, I was able to go on one ride. Oh to be a kid again! Thanks OC Fair. You are awesome once again. The OC Fair is open July 15 - August 14. It's that time of year again, time for Cupcake Camp OC!! I had such a blast eating way too many cupcakes last year and I can't wait to do it all again! The details have been announced and we will be eating cupcakes together on September 11, 2011 from 12p-5p at the Atrium Hotel in Costa Mesa, CA. Registration is open for cupcake bakers. Make sure you register early (by July 31st) to get a discount. Registration is not yet open for ticket "sales" (donations). 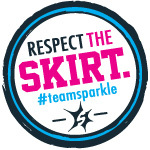 You can find updated info on the Cupcake Camp OC Facebook page and through Twitter. I'll keep you updated with all the latest information. But for now, mark your calendars and practice using that sweet tooth. I was introduced to Dolce Vista Sweets & Treats last summer at the OC Fair. I was a judge at the OC Cupcake Classic and their cupcakes won 1st place and Best in Show. Later that year I was treated to a special winter wonderland cake from Dolce Vista. There are certainly perks of being The Cupcake Activist! I'm excited to announce that they will be contestants on the Food Network's Cupcake Wars. Well, they already taped the episode, but it will air this Tuesday, July 26 at 8:00pm ET/PT. In this episode titled "Dodger Cupcakes," Dolce Vista and three other cupcake bakers will face off for the chance to have their cupcakes featured at a celebration honoring the world renowned LA Dodgers at a VIP party at the stadium. I have to admit that I've never seen a meringue nest on a cupcake before. 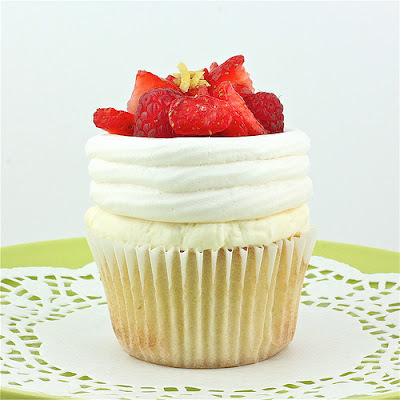 These cupcakes from Made With Pink are lemon cupcakes topped with a bit of whipped cream and a homemade meringue nest filled with lemon curd and fresh strawberries and raspberries. Sounds like the perfect summer treat! 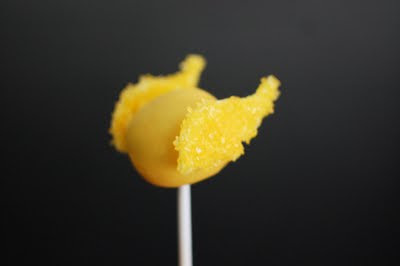 You can find the recipe for all parts of this delicious treat on Made With Pink. Four talented cupcake makers will go head to head in hopes of having their cupcake creations at the center of an exclusive party for the Festival of Arts, where paintings and statues come to life. Sweet Cheeks Baking Co. (San Diego, CA) - I've only visited a handful of cupcake shops in San Diego. Looks like I have more reasons to visit soon, especially after their WIN last night. Cinn-fully Sweet (Anaheim, CA) - Hey, they are just down the street from me. They don't have a shop yet though. My trip to New York City wasn't only about cupcakes. I saved room for other treats too. One place I knew I had to visit was Doughnut Plant. I actually found Doughnut Plant by accident. I had heard about it on another blog and happened to be running past it one day on my trip. I made a mental note to come back that night. I made it back and was amazed when I stepped in the store. This was definitely not your typical doughnut shop. One wall was covered by doughnut-shaped pillows. Opposite that was a display case filled with delicious-looking donuts. I forced myself to just choose one. I had already been stuffing my face all week and needed to calm down a bit. My pick was Creme Brulee. The Creme Brulee doughnut from Doughnut Plant was easily the best doughnut I've ever tasted!! 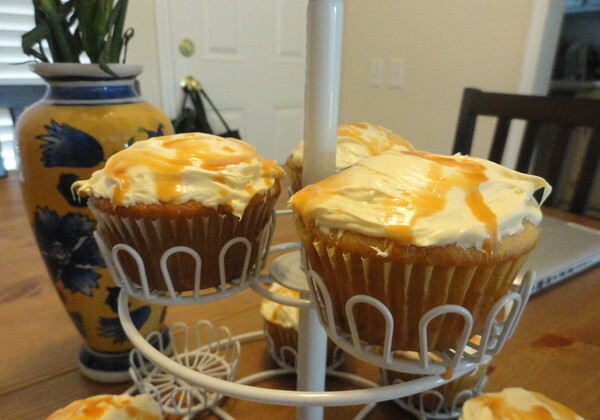 The custard filling was delicious and the caramel topping was torched perfectly. My only problem with it was it was way too small. It was roughly half the size of a normal doughnut. And the price to go with this delicious doughnut: $3.25! Wow! Small and pricey, but so worth the splurge! All of the doughnuts weren't tiny though, the rest looked normal-sized. I'm definitely spoiled by doughnut prices here where I can get a chocolate cake doughnut with sprinkles for roughly $0.75. But the taste.....wow! This will definitely be a place I always go to when I'm in New York City. You should too. I love Cost Plus World Market. Have you ever checked out their chocolate and sweets department? So awesome! It's the perfect excuse to buy a lot of candy. Anyways, the other day I was in there and saw this Ice Cream Cone Cupcake Kit. I thought maybe it was just a cupcake baking kit with ice cream cones, but it looks like the cones are silicone. Bummer, I love ice cream cones. I bet it's a fun activity for kids though. I'm not going to lie. I'm actually proud of the fact that I love Harry Potter. Whenever I got my hands on one of the new books, I couldn't put it down for a week. Of course I am super excited for the final movie to come out this week. I'm not crazy enough to see the midnight showing (I'm pregnant and I get tired super early), but I plan on seeing it soon. 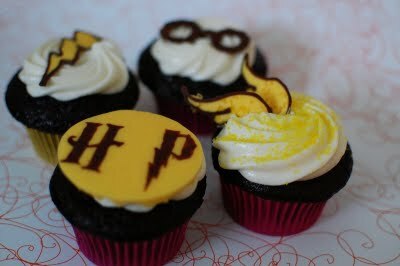 What better way to celebrate the final movie then with special Harry Potter cupcakes. I am 19 weeks pregnant, so I am in full-baby mode. My husband points out every stroller we see and I'm on the lookout for cute baby clothes. CakeSpy has these adorable onesies for sale on her website. The pink cupcake one almost makes me wish I was having a girl. I can't wait for my little boy though! Four artful cupcake bakers will compete for the chance to have their cupcakes featured at an exclusive party celebrating the art of famed movie director Tim Burton. 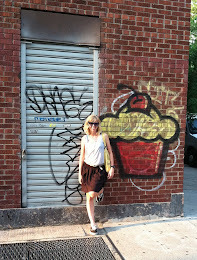 If I could only go to one cupcake shop in New York City, it was going to be Magnolia Bakery. This is the place that started it all! Because of them, cupcake shops have popped up everywhere. So let me start off my saying, "Thank you Magnolia Bakery." I walked into a bakery heaven. So many yummy desserts! But I was there with one mission: eat cupcakes. The place was packed! This must be the right place. I couldn't decide which cupcakes to try. There wasn't a flavor that caught my eye, so I picked out Vanilla, Red Velvet, and a special Swan Lake cupcake. Their cupcakes are $2.75-$3.25 each. Usually I stay away from a vanilla cupcake, but Becky from Utah Loves Cupcakes recommended it. This was definitely the best of the three. The vanilla frosting tasted homemade and the cake was so-so. It didn't wow me, but it was good. I already knew that I wouldn't enjoy the red velvet because they don't use cream cheese frosting. Instead, the cupcake was topped with a whipped vanilla frosting. There's nothing I dislike more than whipped frosting. The cake wasn't any better. The fake-looking, bright red cake was dry. This cupcake was a fail for me. This chocolate/vanilla swirl cupcake was a fundraiser for something associated with Swan Lake. The chocolate frosting was delicious, but the vanilla frosting was the same whipped vanilla frosting found on the red velvet. The cake was also swirled with moist and dry cake. It was weird. As much as I wanted to fall in love with this cupcake pioneer, Magnolia Bakery could only be summed up in one word: disappointment. Dry cake, little variety, whipped frosting...the perfect storm. To be honest, I think that the cupcakes were the least appealing desserts in their shop. I should have tried some cheesecake, pies, or cookies. Maybe I would have had better luck. What do you think? Am I wrong? Did I hit them on an off day? NY locations: Rockefeller Center, Columbus Ave., Bleeker Street, Grand Central Terminal. Also located in Los Angeles, CA and Dubai. Jilly's Cupcake Bar (St. Louis, MO) - winner!